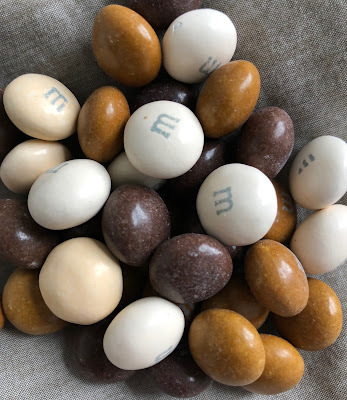 Hot Cocoa m&m's consist of a thin layer of milk chocolate with a marshmallow flavored white chocolate center. I think it's that central white chocolate that presents the problem. 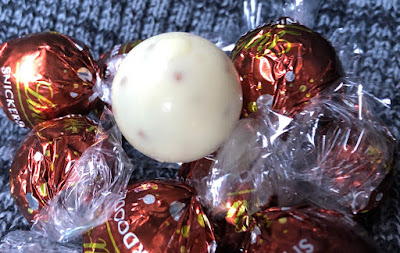 Marshmallow flavored white chocolate is so incredibly sweet and the ratio here of white chocolate to milk chocolate is something like 3:1 or even 4:1. 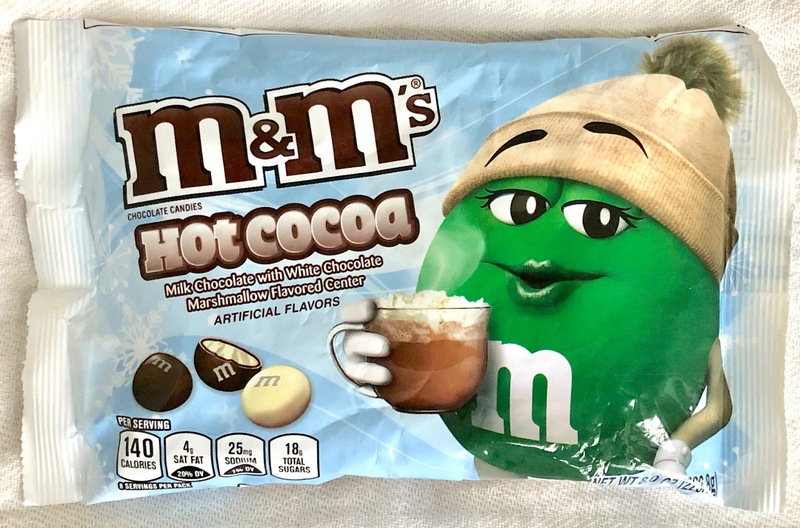 I think it would be delicious with a lot of milk chocolate flavored with a small dab of marshmallow white chocolate. In its current form, it's just too sweet to even concentrate on flavor. Wishing you all a merry and sweet Christmas from our house to yours! 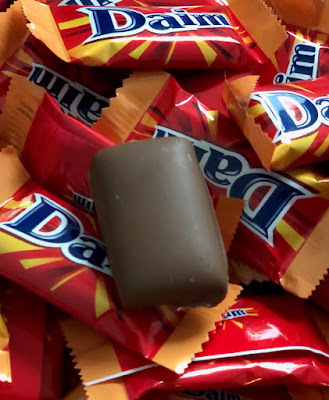 Blame the photo, not the candy. 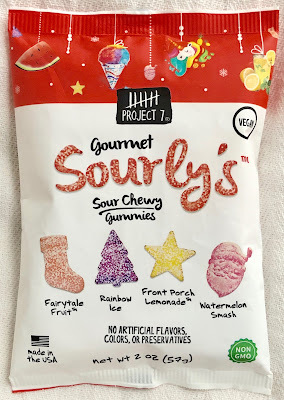 These Project 7 Sourly's sour chewy gummies come in their original refreshing summer flavors but in whimsical Christmas-themed shapes for the holidays. 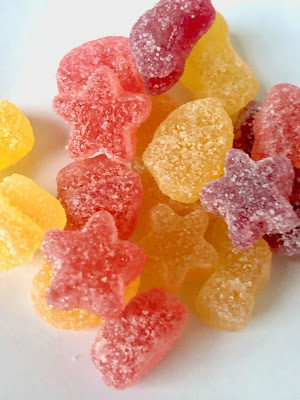 I'm especially taken with the precise gummy stars. 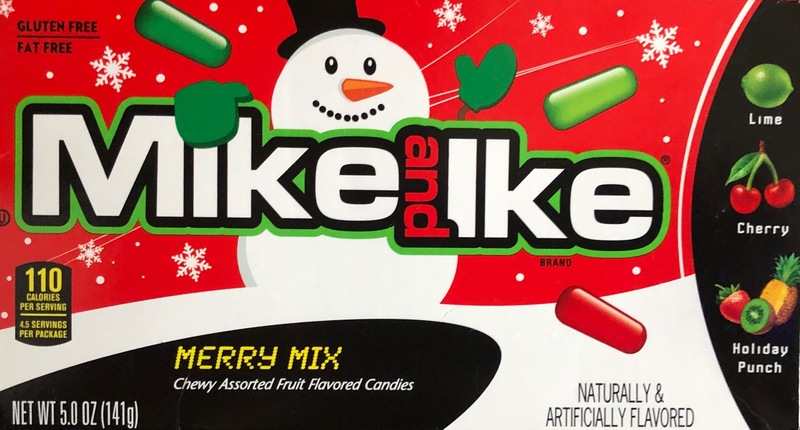 Fairytale Fruit, Rainbow Ice, and Front Porch Lemonade--all tasty light flavors, balanced with a dusting of sour sugar. Watermelon Smash is nasty, but I loathe all artificial watermelon so I can't offer a balanced perspective there. 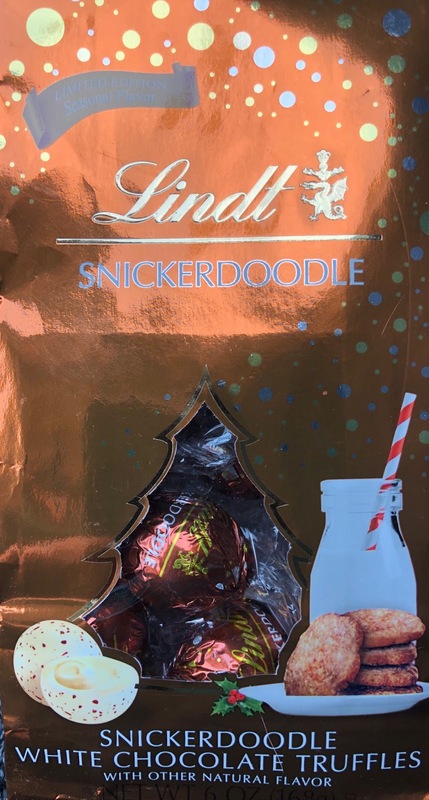 Definitely a good addition to any Christmas stocking! 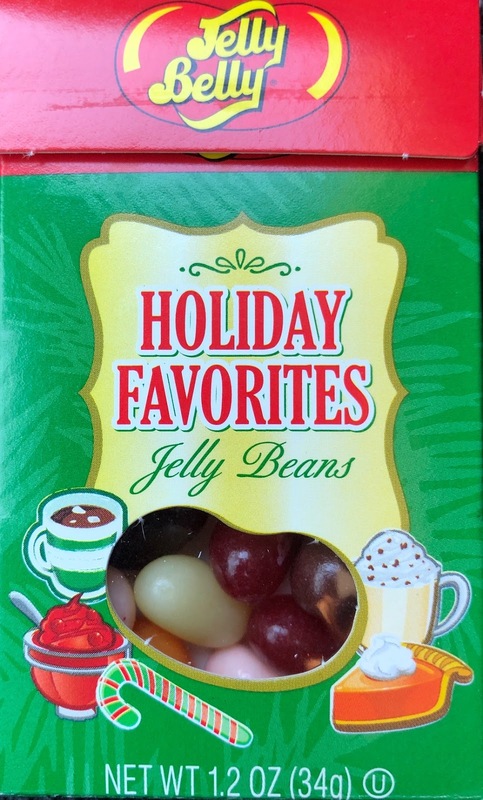 Jelly Belly Holiday Favorites feels like a celebration of both Thanksgiving and Christmas, based on the flavors. Pumpkin Pie, Egg Nog, Cranberry Sauce, Hot Chocolate, and Candy Cane round out the festive mix. It's not the prettiest assortment of colors--two browns, orange, pistachio green, and pink--not aesthetically alluring. 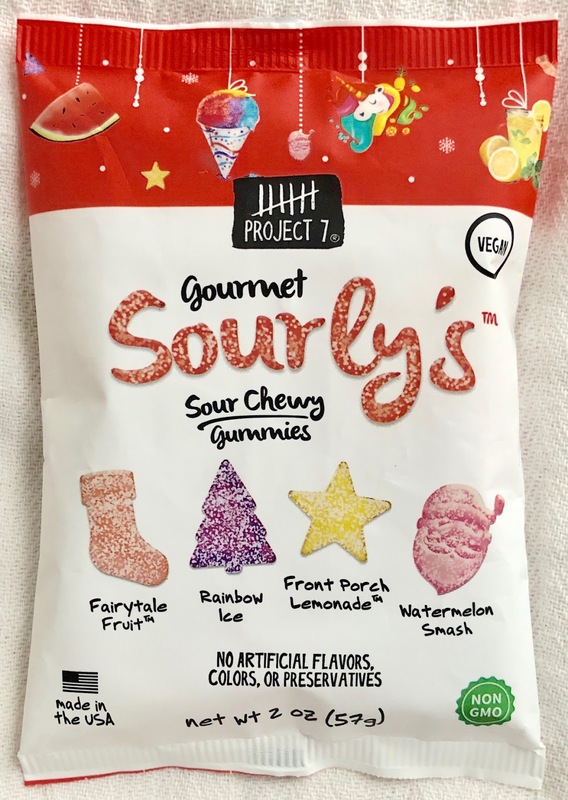 The flavors are uneven, too. Pumpkin is gross, but that's subjective. I reject all pumpkin flavorings this holiday season. 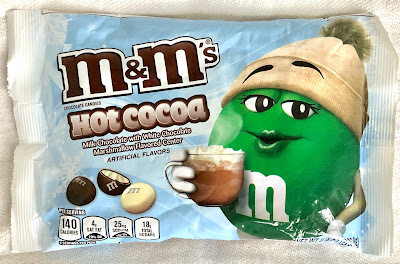 Hot Cocoa is ok but I never think that chocolate-based jelly bean flavors taste quite right--like a blanderized tootsie roll. The Egg Nog is a fun surprise, as is the tart juicy Cranberry Sauce. Candy Cane, of course, is always a classic. It's a fun mix to sort through and sample but not one of the prettier or more synthesized holiday jelly bean mixes from Jelly Belly. 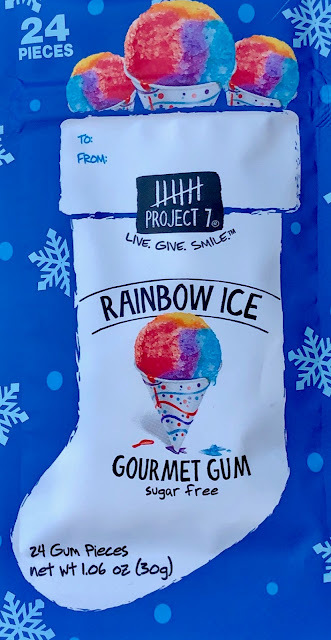 I'm a big fan of Project 7's Rainbow Ice sugar free gum (read past review here)- we're talking delectable flavor, an exact replication of a Rainbow Ice. The only hitch is that the blast of flavor does dissipate too quickly. For Christmas, Project 7 hasn't messed with the gum's formula. Instead, they've repackaged the gum in a festive wrapper emblazoned with a Christmas stocking and snowflakes. Festive! 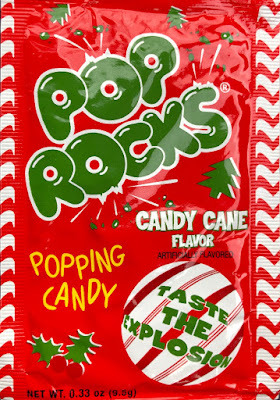 Not to mention a great stocking stuffer! Unfortunately, because of a recent move obsessivesweets photos are not currently up to par due to the fact that I can't find my light tent in the boxes. 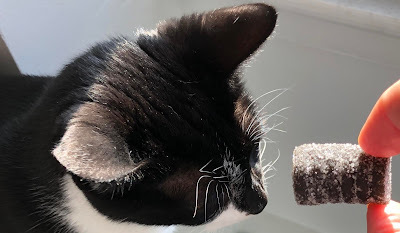 Apologies for shadowy illustrations with bewildering backgrounds--we'll be up and running with well-lit candy shots soon enough. 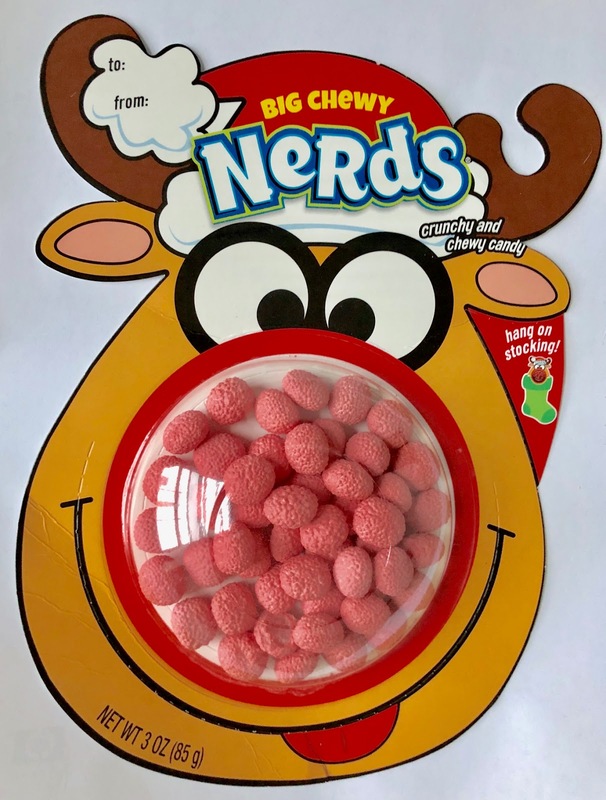 In the meantime, the photos don't do justice to Big Chewy Nerds packaged as Rudolph's Big Red (Chewy) Nose, designed to be hung over the lip of a Christmas stocking. Clever! 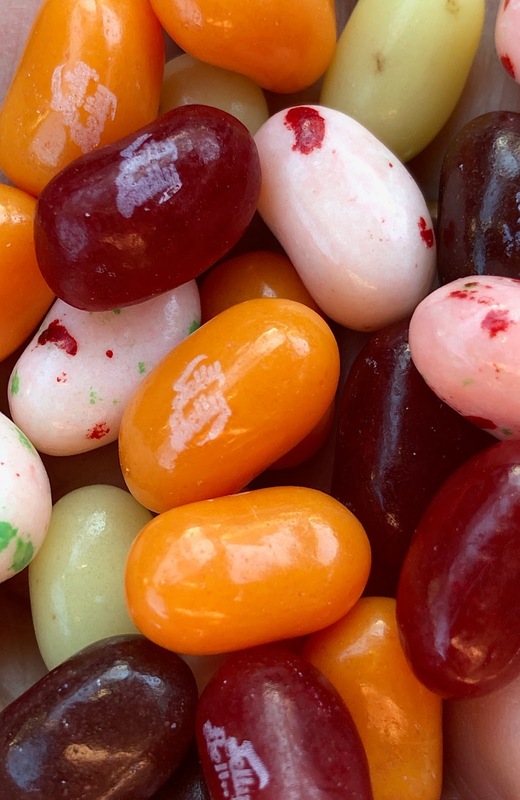 Basically, they're jelly beans covered with a bumpy Nerds shell. 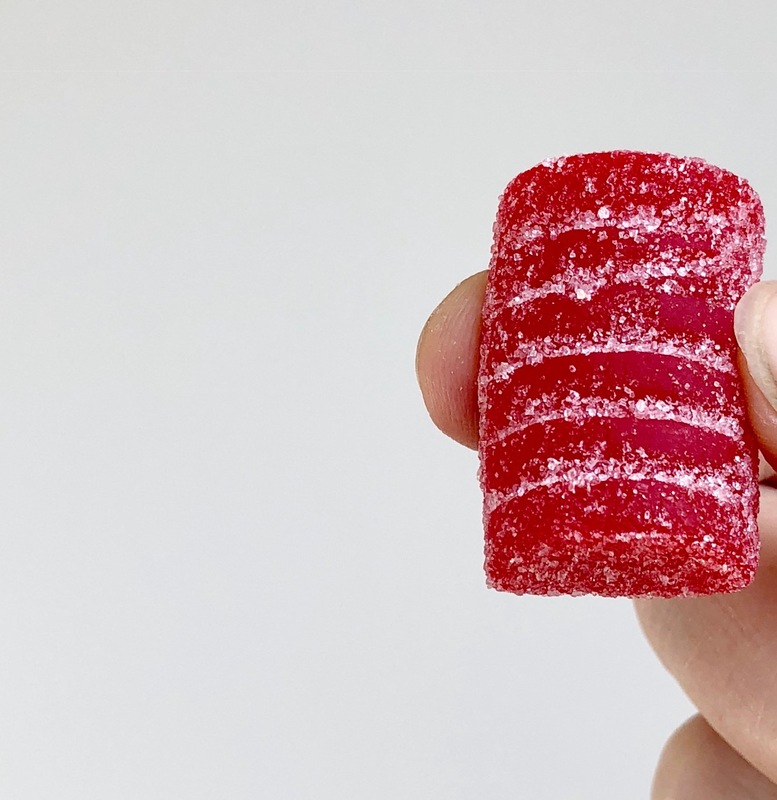 The crunch and chew are super addictive and that Red tart flavor, whatever it is-- cherry? fruit punch? 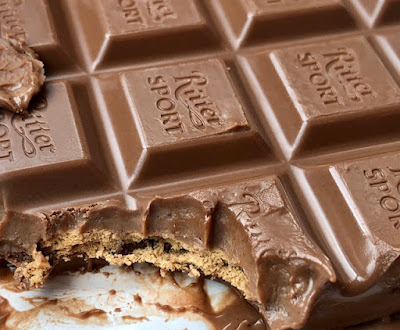 -- is so yummy. I intended to eat a handful and put the rest aside but ended up going back for repeated handfuls until Rudolph's nose was empty. The plan is to go back and stock up before the season ends. 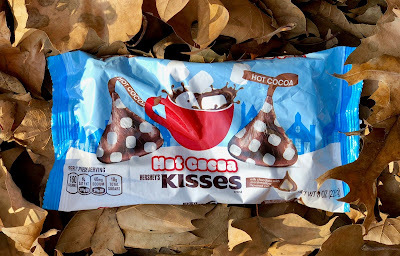 The concept of Hershey's Hot Cocoa Kisses is exciting-- a classic milk chocolate kiss filled with a dollop of creamy marshmallow reminiscent of a mug of hot cocoa with marshmallows on top. It's clever and appealing. Unfortunately, this marshmallow creme is all wrong. 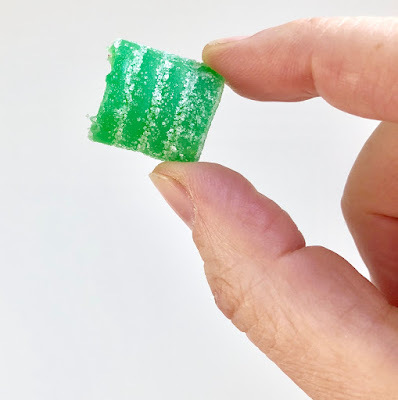 It is So Sweet and tastes less like marshmallow than a thick sugar frosting. I forced a few upon my colleagues and all pronounced themselves fans of the original Hershey's Kiss but all stopped at only one Hershey's Hot Cocoa Kiss. Simply too sweet. 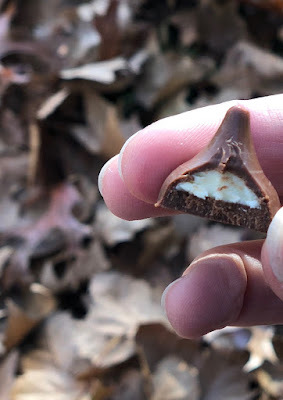 I hope that Hershey's goes back to the drawing board and tries this flavor again with a different marshmallow component--it could be delicious! 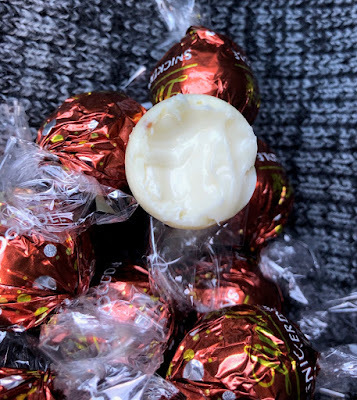 Wow, the aroma of cinnamon and cream and butter slams into your nostrils as you open the bag of new limited edition Lindt Snickerdoodle White Chocolate Truffles. That fantastic aroma infuses the flavor of the first bite. There, unfortunately, the pure sweet sugar takes over--it dominates all of those lovely mellow baking flavors. 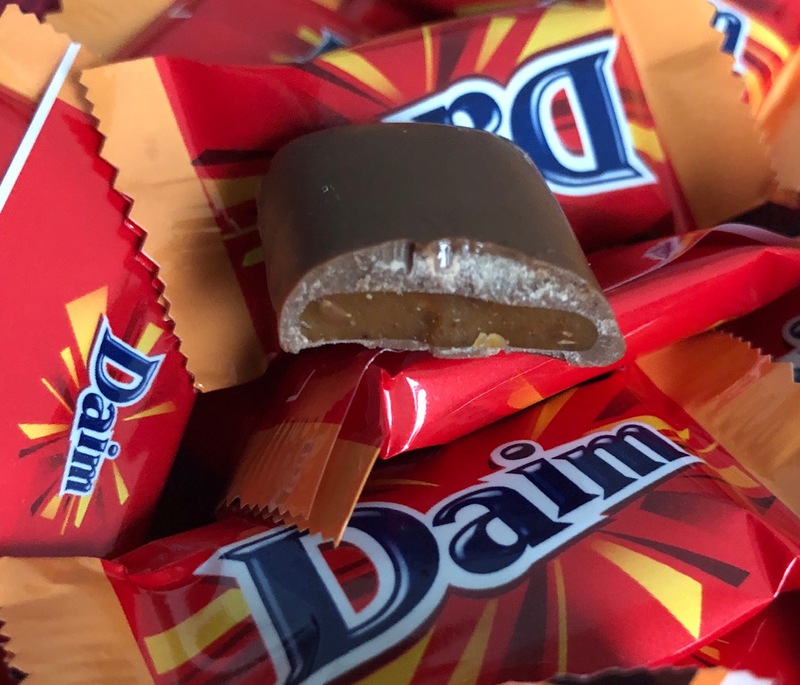 Originally launched in Sweden, Daim bars are the near-equivalent to Heath or Skor bars, with a lightly crunchy caramel almond candy center surrounded by a thick layer of milk chocolate. 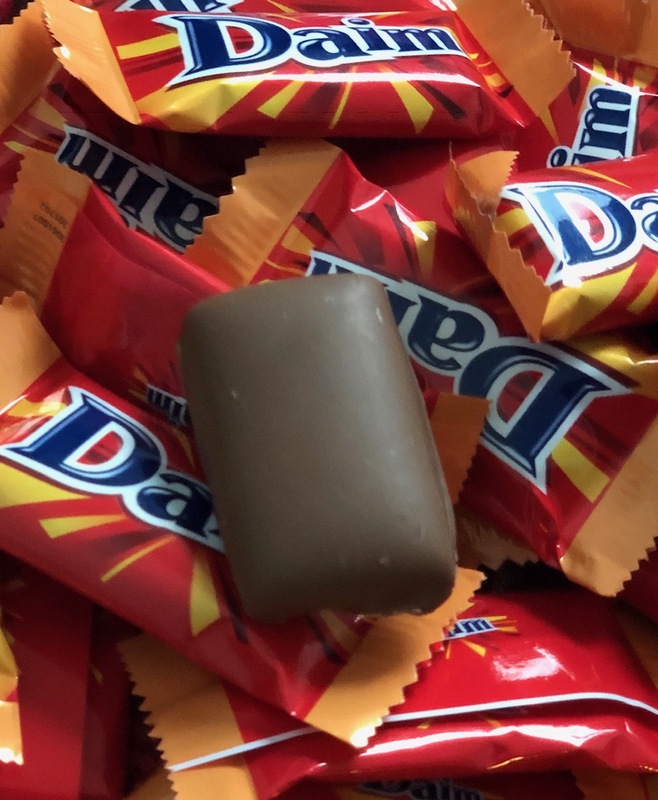 There is something so addictive about that satisfying crunch and the buttery caramel flavor. 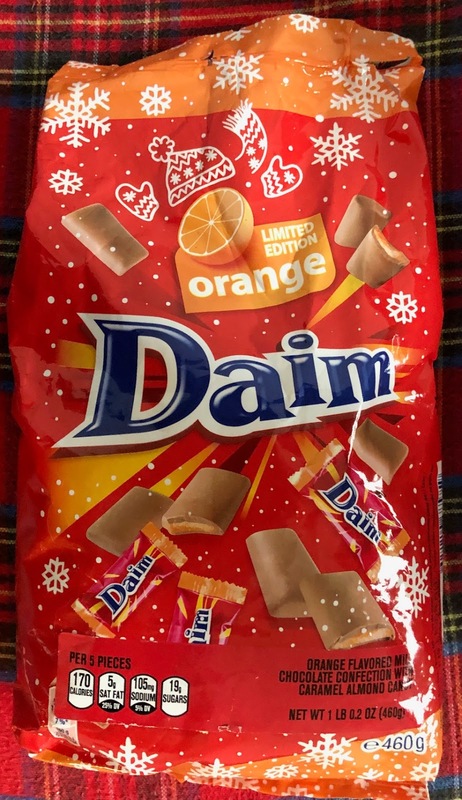 I recently found a bag of limited edition Orange Daim bites. 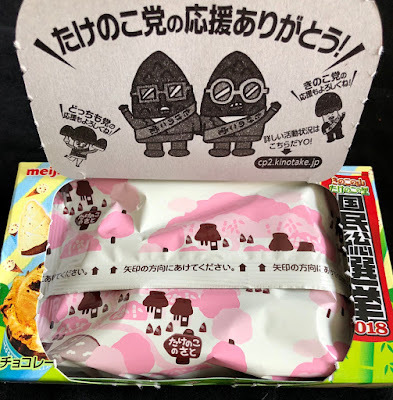 The orange flavor to the chocolate adds another layer of flavor but isn't too dominant. 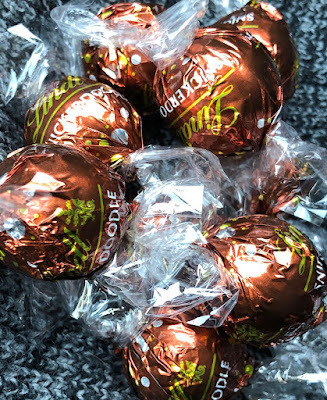 I love these little individually wrapped bites. I had to get them out of the house to share at work because I was consuming them by the fistful. Then I just kept eating them at work. If you can find the Orange Daim, seize it! I found mine at IKEA! They're back and I'm so excited! 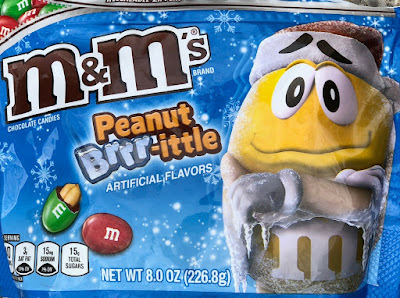 I've already consumed two bags of the seasonal Peanut Brittle m&m's and we're only in the first week of December. Below, the republished review from last year, illustrated with new technicolor photos! 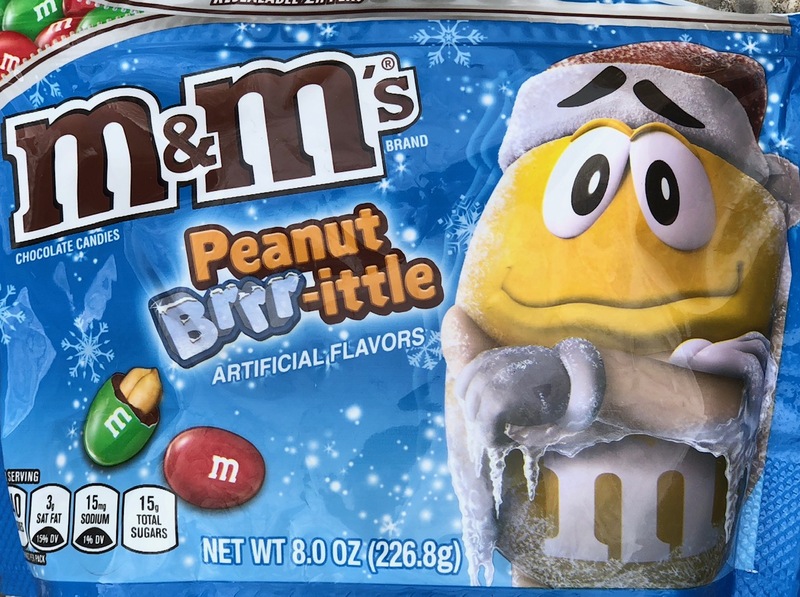 Once I procured my bag of new limited edition Peanut Brrr-ittle m&m's, I tore them open with heightened anticipation. I just had a good feeling about this new flavor, and these expectations were met with flying colors. 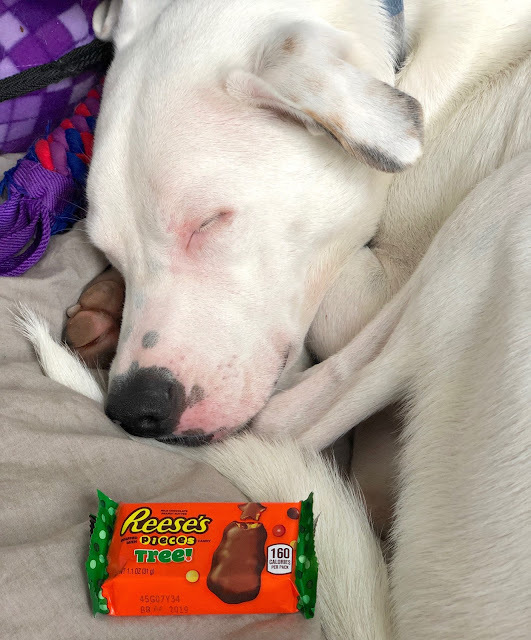 Peanut Brrrr-ittle m&m's are so delicious! 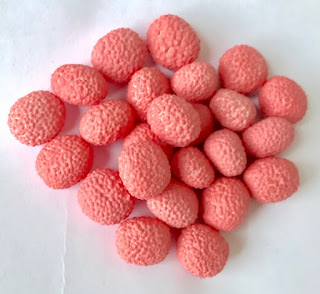 They rival plain and peanut butter m&m's as my very favorite. 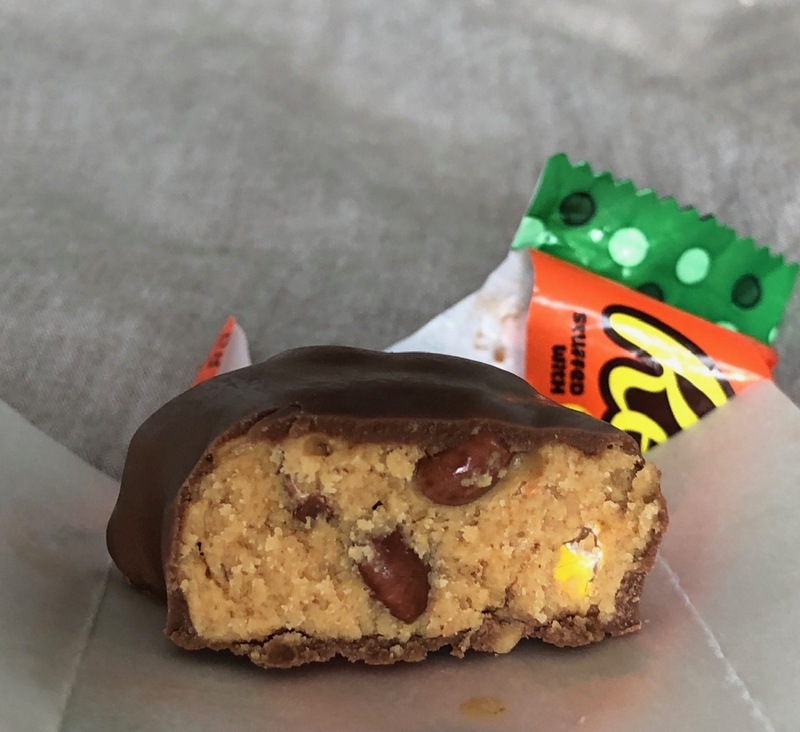 Upon first bite, they don't seem awfully different from a traditional peanut m&m, but then you find yourself with extra crunch, added through the candy shell and a toffee coating on the peanut. The warm buttery toffee flavor melds beautifully with the peanut and the chocolate and all together it is a rich and perfectly-balanced mouthful. Despite best intentions I kept running back to the cabinet for fresh handfuls of the addictive sweets, until the entire mega-bag was almost completed. 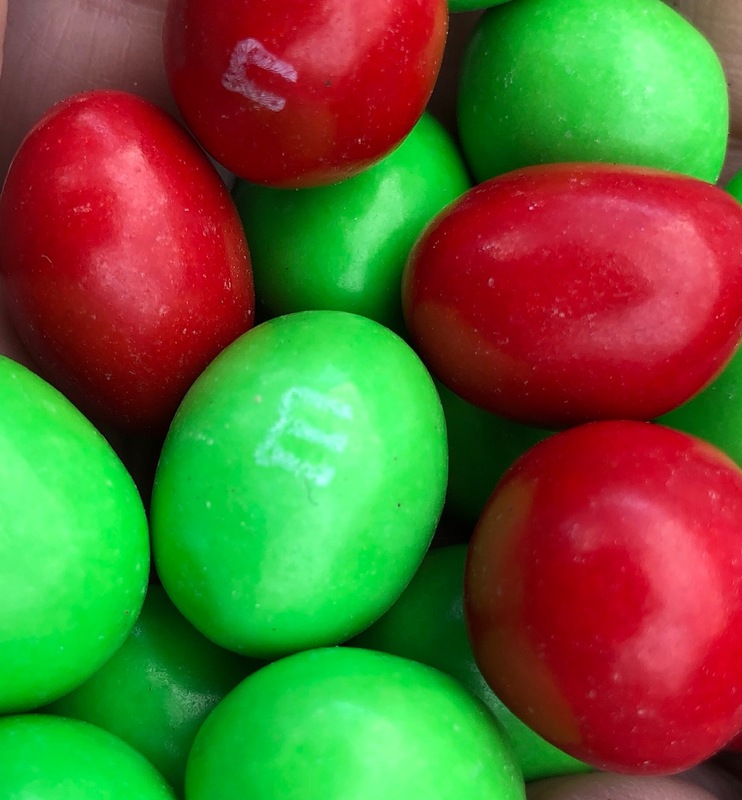 These Peanut Brittle m&m's should be a year-round offering. They're fantastic! Mmmmm, holiday Pop Rocks! It's hard to go wrong with this classic. 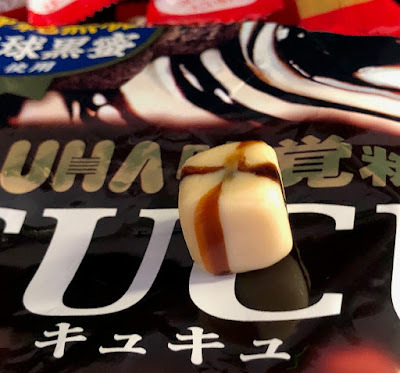 The flavor was good but I might not have placed it as Candy Cane. 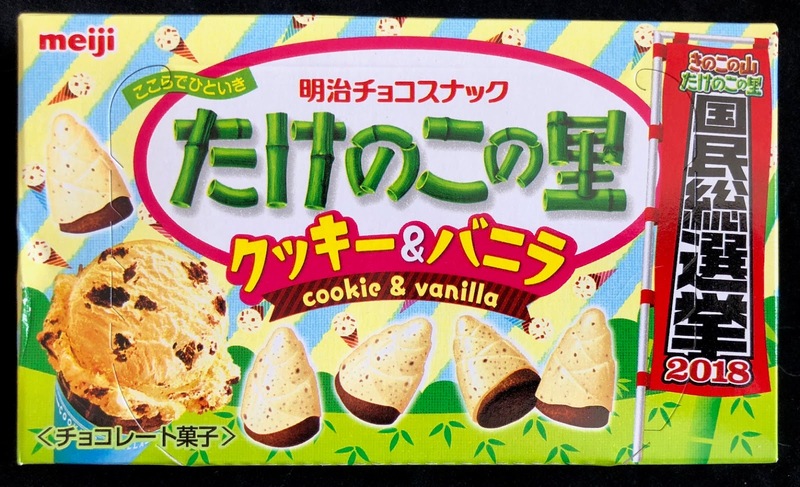 It was more like a pepperminty cherry flavor, which was still pretty tasty. A suggestion: don't consume on the subway. The lady seated next to me looked unnerved by the small snap crackle and pops emanating from my direction. 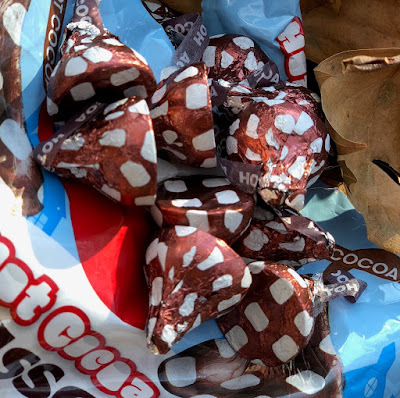 I simply refuse to think about Christmas candy until December 1. That provides ample time to sample the newest array of holiday treats but also allows one to maintain a sense of propriety during the Fall season. It just doesn't feel right to see a Santa Claus themed chocolate before Thanksgiving. But here we are again, December 1. We shall begin the season with something that made me laugh. 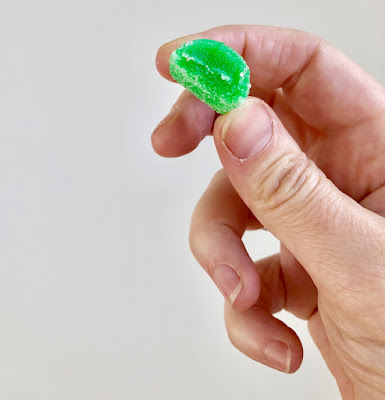 Trolli Sour Brite gummies are tasty as far as sour gummies go--good flavors and consistency, a nice mix of sour and sweet. 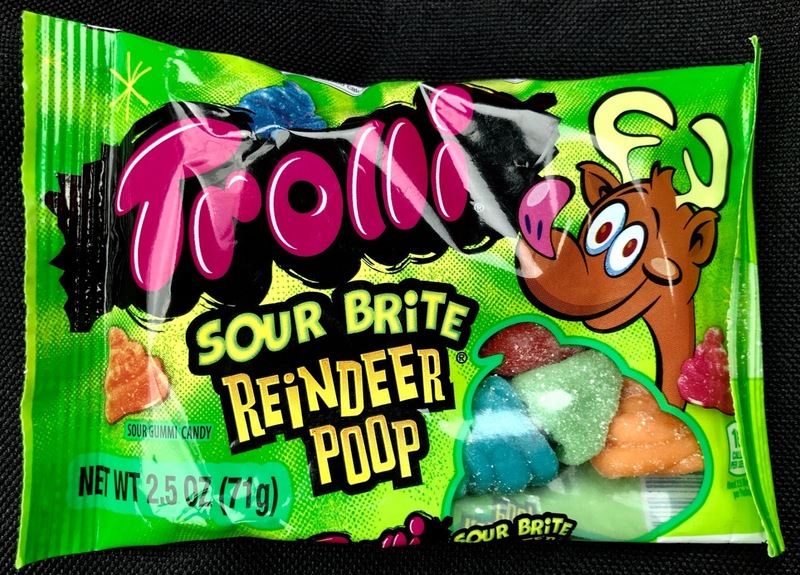 These reindeer poops are the usual breakdown of Trolli Sour Brite flavors, just molded into the shape of poop emojis, or what I prefer to think of as a soft-serve swirl. 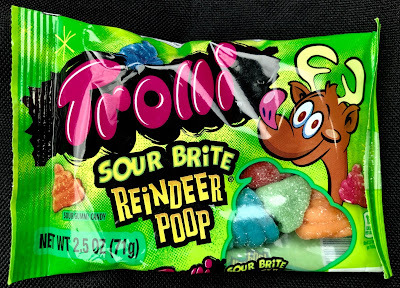 Way to mix it up with Christmas themes, Trolli! Many years ago I was lucky enough to enjoy a meal at Wylie Dufresne's WD-50 restaurant. His mastery of molecular gastronomy made the entire experience more like a magic show than a meal. I was wowed, but there's only so much passion I can put into non-sweet foods. Cut to now, and we've moved to a new neighborhood. 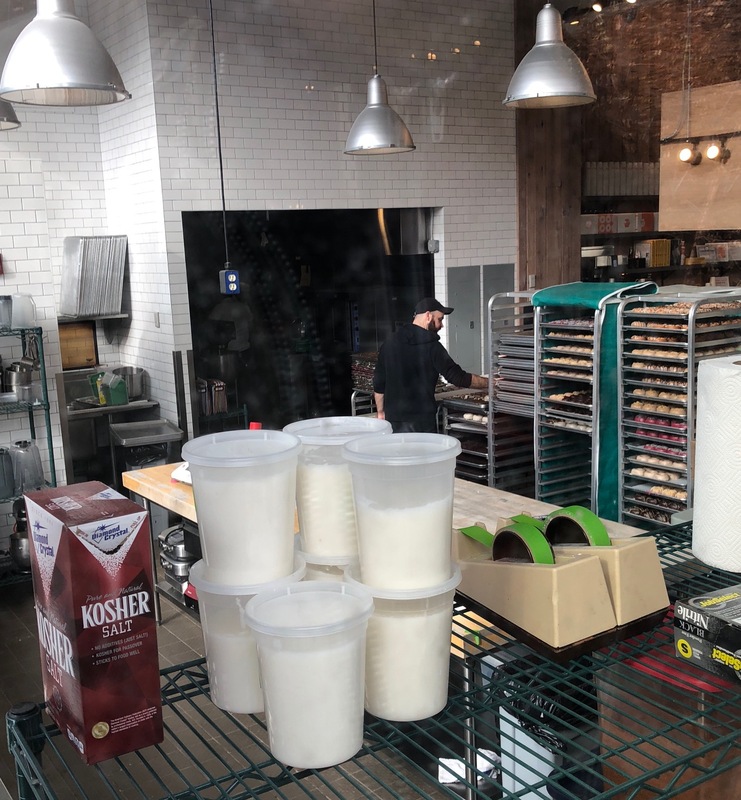 Within mere steps from the new home-base is DU's Donuts and Coffee, Dufresne's newish passion project-- pure focus upon the donut. 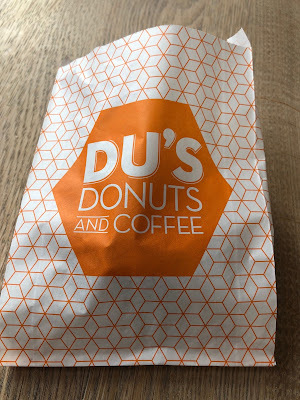 It turns out that Dufresne cut his proverbial teeth working in his father's diner, so this love for attention to what makes the quintessential donut is a thrilling full-circle. Well, I don't know if it's thrilling for Wylie but this has made my entire move worthwhile. We entered the clean spare shop, all glass and wood and high ceilings and pops of orange. One of each flavor of donut is on display, but otherwise, there's not a lot of clutter going on. You're there for a donut (or 12)--just make a selection and they're ready on the trays behind the counter. I don't remember all the flavors. There were so many enticing ones, and I just kept chanting to myself, "hold it together, we can return any time. Even later today!" 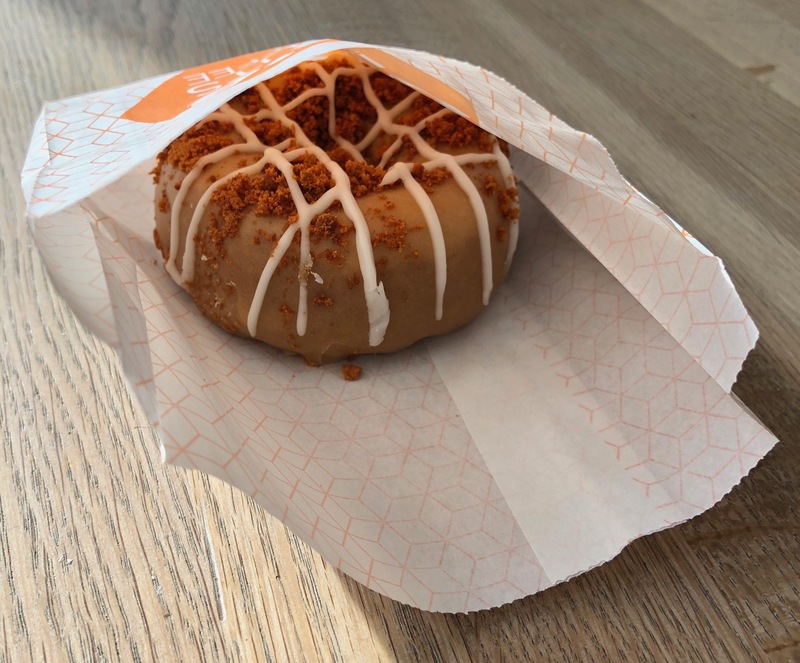 Co-taste-tester Mark and I selected the Key Lime and Brown Butter Donut. The lime was zesty and sang above the mellow buttery notes. Most important, it was perhaps the best consistency of a cake donut I've ever encountered--really tops. I'm pretty over the Donut trend, and not much surprises me anymore, but this was a wow-worthy donut. I can't wait to return and try all of them. 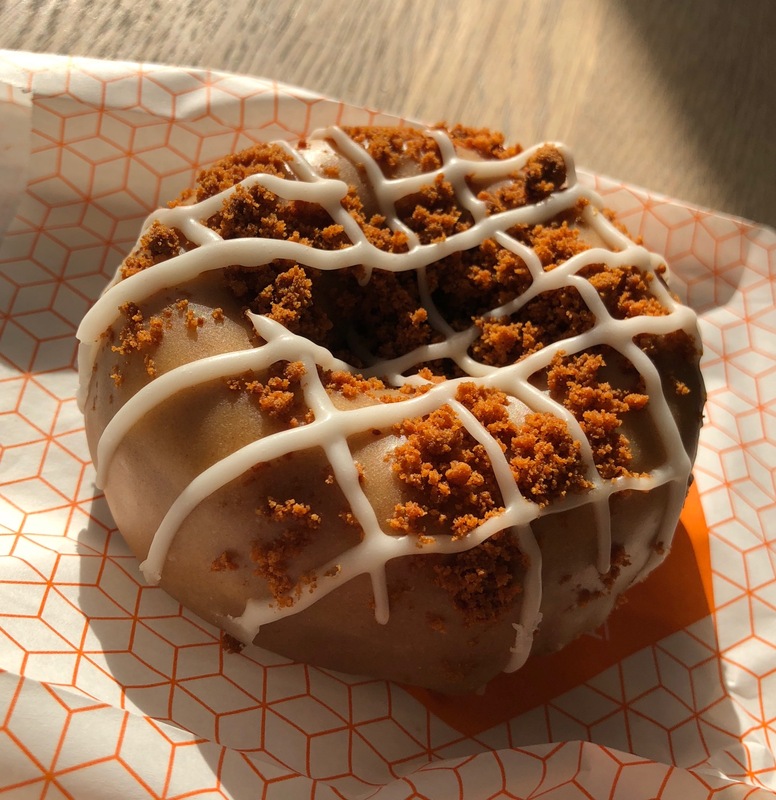 Thank you, Wylie, for focusing your magic on donuts! 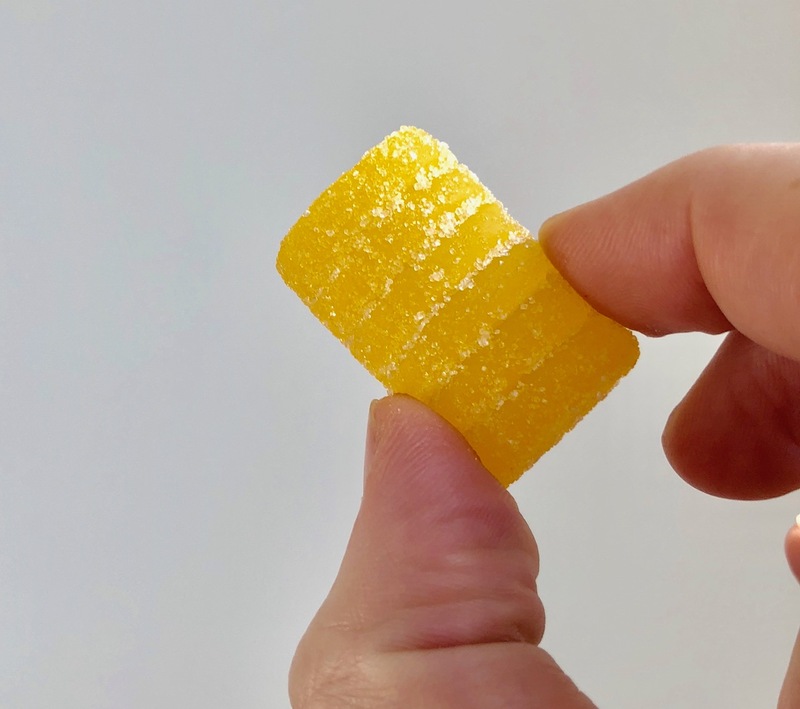 Honeycomb candy is a personal favorite--I love the rigid crystaline structure that deconstructs on the tongue. 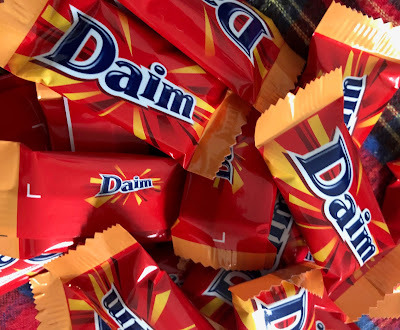 The Mighty Fine Dark Chocolate Honeycomb Bar, from England, is not one of the better honeycomb candies I have encountered. Unfortunately, the crystals had toughened and bound together in spots, creating more of a hard toffee consistency. 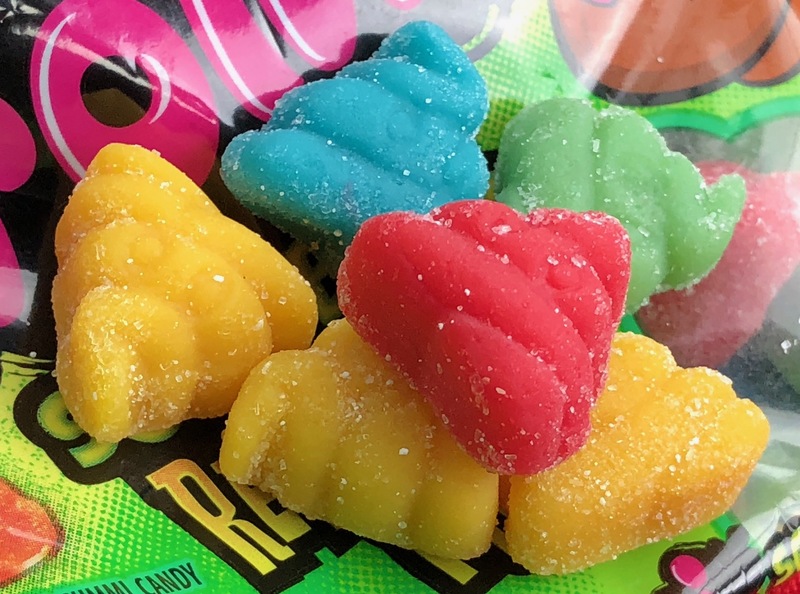 Honeycomb candy must be light-as-air. The dark chocolate separated easily from the honeycomb rather than combining cohesively. It wasn't bad, but sadly this bar just inspired me to find other finer options out there. I have officially never met a Lindt Truffle that I didn't like. 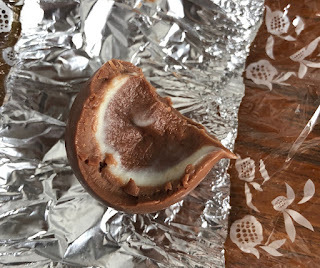 I love the way the shell gives way to the molten truffle center in any flavor. 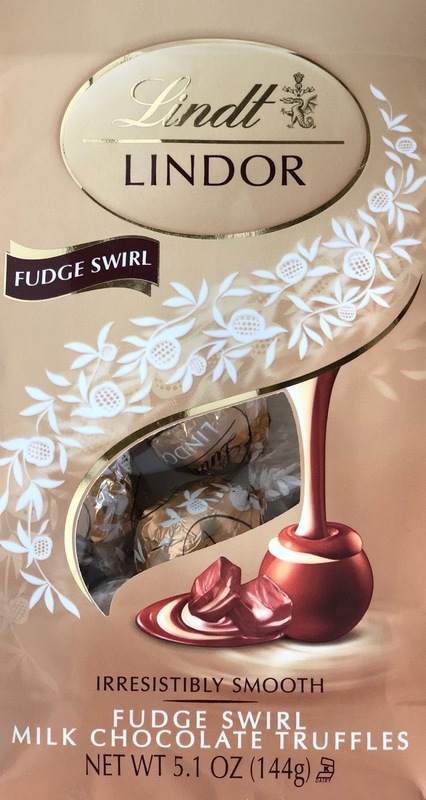 The new Fudge Swirl Milk Chocolate Truffle maintains these excellent qualities. It's not one of my favorites, though. 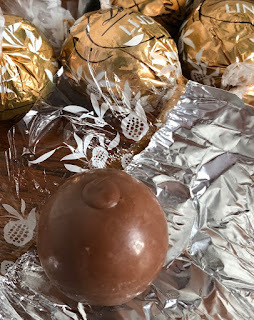 The milk chocolate shell supports a thin layer of white chocolate truffle which in turn supports a central ball of milk chocolate truffle. Milk chocolate mixed with white chocolate is so very sweet. It's tasty, but the sweetness overwhelms the creaminess. 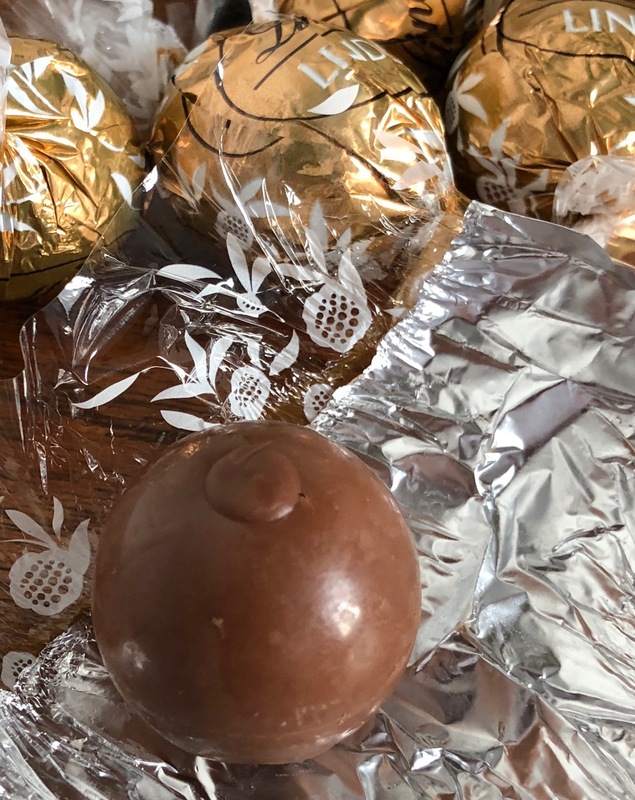 I prefer the pure milk chocolate truffle. 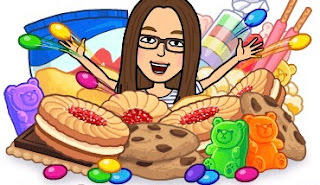 Sometimes it's difficult to discern whether a sweet treat should be counted as a candy or a cookie. Japanese sweets company Meiji has produced a perfect example of this undefinable sweet, Takenoko No Sato Cookie & Vanilla. 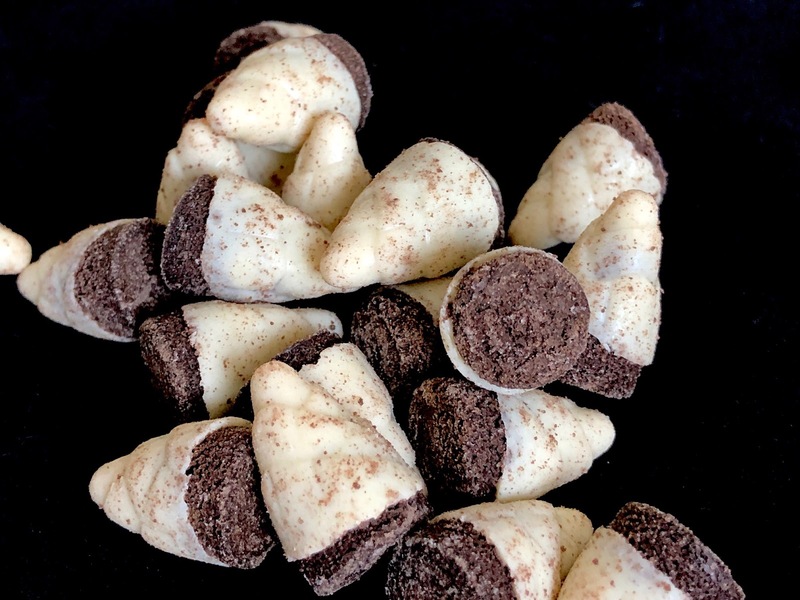 They're small cones of Oreo-cookie like biscuits dipped and then molded in a thick layer of vanilla icing dusted with cocoa. The packaging is fun and colorful and these sweet crunchy bites are such a tasty satisfying treat. The biscuit leans away from sweet in order to counterbalance the icing. Luckily, these are packaged in a reasonable serving size so that you don't end up eating too many--really the perfect size to share with a friend. Japanese milk candies are usually somewhat lost on my taste-buds. I see the appeal of the creaminess without so much sugar, but they are just a little too bland for much appeal. 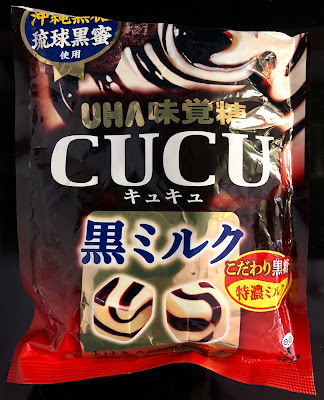 Uha brand Cucu Black Milk candies, though, are fantastic and really addictive. You have the basic creamy milk hard candy swirled with a brown sugar swirl that tastes almost like molasses. There's a beautiful richness to the flavor that blends so well with the mild cream. 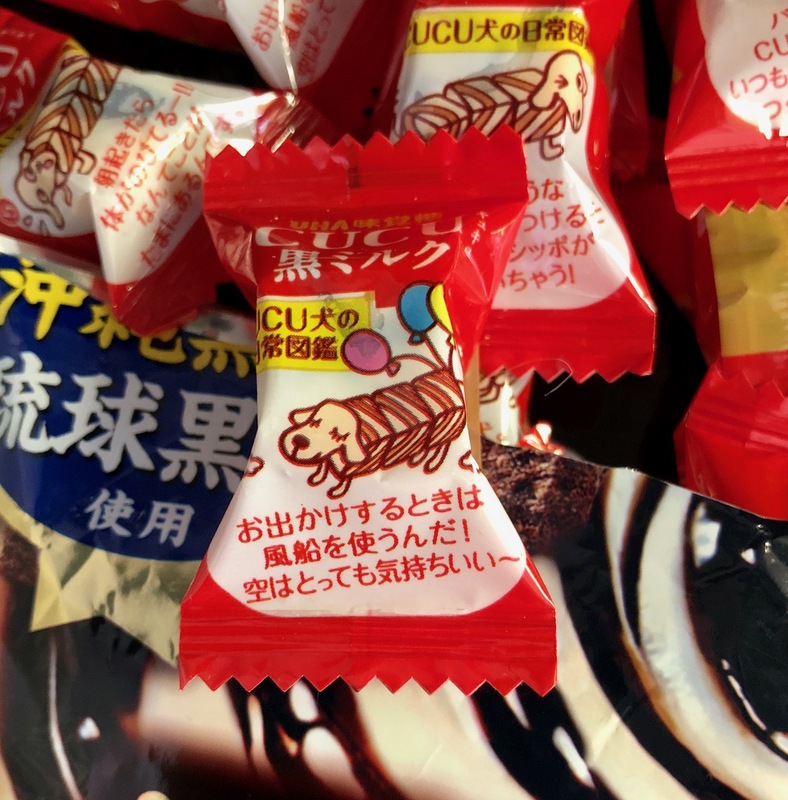 They also come individually wrapped in packaging decorated with a sweet dog whose body is comprised of three cucu cubes. I hope I can find the other flavors of Cucu cubes. 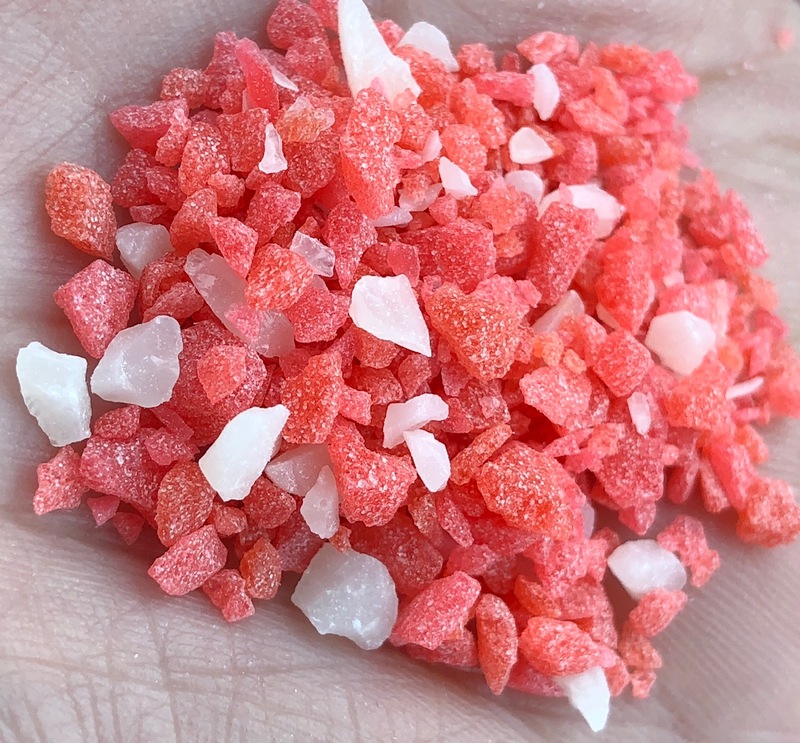 I recently posted about the fantastic return of Sunkist Fruit Gems, one of the most vibrant sugar memories of my youth. It made me realize that to be fair, though, the other beloved fruit jelly of my childhood--the one that never went away--deserves a shout-out, too. Hi, Chuckles! You are a beautiful classic constant of the candy aisle, without the need to sway with marketing trends, the same pleasing packaging and flavors throughout history. Chuckles are substantive jellies, perhaps not the flashiest but always delicious and reminiscent of a time when the candy aisle offered far fewer options. 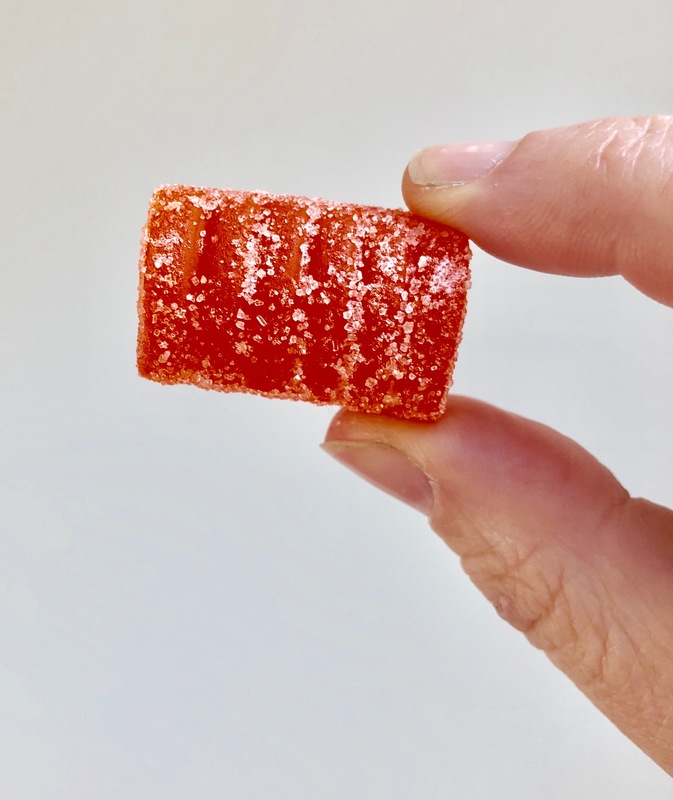 The only reason I prefer Sunkist Fruit Gems to Chuckles is the highly personal matter of the licorice flavored jelly. I just don't like it--never have and never will. 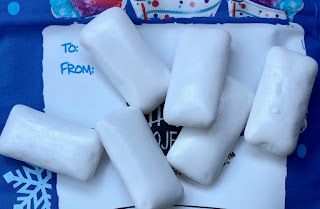 Thank goodness my Mother does, as she has been the recipient of a large number of leftover licorice Chuckles through the years. 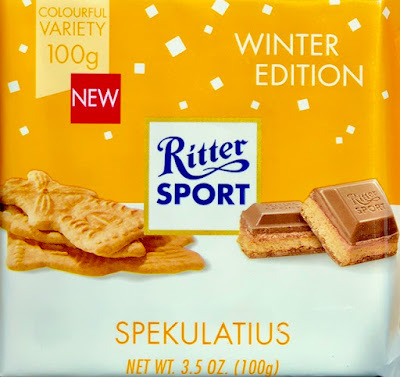 But I spoke recently to both my Mother and work colleague Greg, and they both feel a deep affinity with the licorice Chuckle, so it's a subjective matter.